Flaviu was born in a large family of 11 children in the Petroșani area of Romania. He received a passion for Christ as a child, being inspired and led by his parents who he respects as worthy examples to follow. In 1999, after a clear calling from God, he moved to Medgidia in southern Romania. He was burdened by the large number of Muslims and the small number of Christians in this area. Together, with a team from Betleem Church in Medgidia, he became involved in a dynamic ministry of planting churches around the town. Flaviu is passionate about Christ and His model to make disciples and he invests constantly in three areas: discipleship, youth ministry, and church planting. As of 2016, there are 14 more churches in this area. In 2000, he graduated from the Pentecostal Theological University in Bucharest and in 2016, graduated from a Master’s Program in Biblical Theology at the University of Bucharest. Flaviu is pastoring two churches in the southeastern part of Romania and leading Josiah Venture’s partner organization in Romania, as well as the youth department for the southeastern Pentecostal Union. 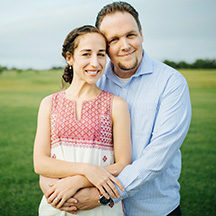 In 2001, Flaviu married Lidia, who is leading the discipleship ministry for women in their local church. 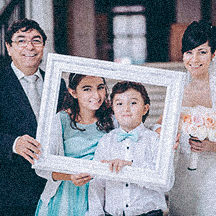 They have three children: Aida, Alicia, and Elias. You can write to Flaviu & Lidia Coman directly from this page.